See which players were honored by the Associated Press. 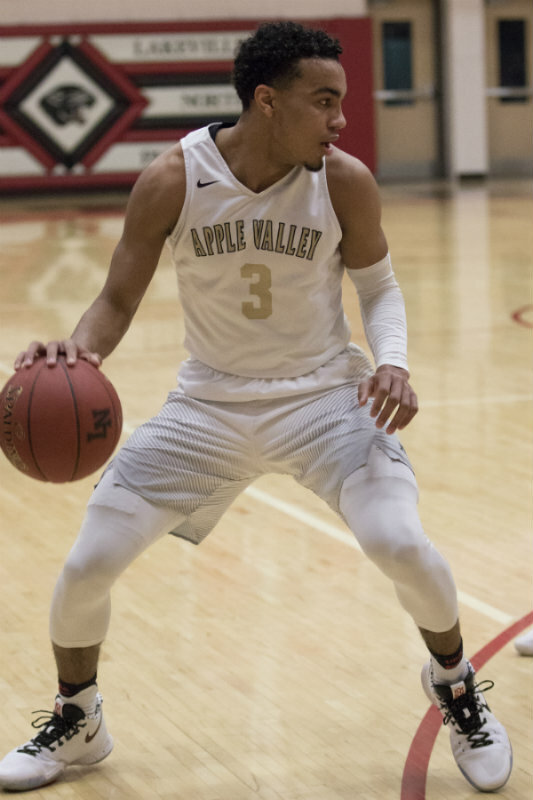 Apple Valley's Tre Jones, this year's Star Tribune Metro Player of the Year, won the Associated Press Player of the Year award along with being selected to the all-state first team announced on Tuesday. Jones, a senior committed to Duke, averaged 23.1 points, 8.5 rebounds, 6.5 assists and 3.5 steals per game this season. He scored a game-high 35 points in the Eagles' 79-78 loss to Cretin-Derham Hall in the Class 4A state title game. Raiders center Daniel Oturu also earned first-team honors, along with Minnehaha sophomore Jalen Suggs, Rochester John Marshall's Matthew Hurt and Calvin Wishart of Class 3A champion Delano. View the three all-state teams below.